JPMorgan Chase Chairman and CEO Jamie Dimon told FOX Business that partisan politics is what’s preventing America from further economic growth and reaching its full potential. 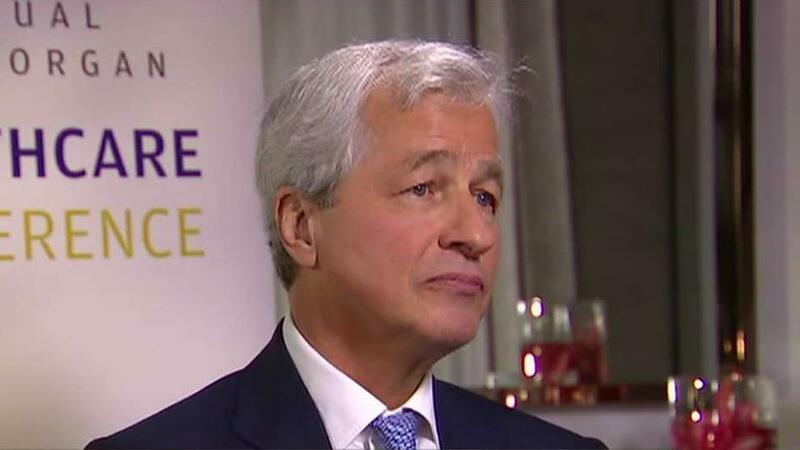 “My bigger complaint is that America, maybe because of partisan politics, has been unable to do a lot of things that need to be done,” Dimon said in an exclusive interview with Maria Bartiromo on Monday. Dimon, who noted the Trump administration’s tax cuts and regulatory reform as legislative victories, warned that America’s own bad policy is the reason why the U.S. economy is at 2 percent growth rate. The CEO of the country’s largest bank said that despite the trade war between the U.S. and China not having a direct impact on his company, there are legitimate concerns over Beijing’s trade practices which has been presented in excruciating detail by the White House. “All of the business people I know say it’s got to be fixed. I think we generally have the support of Japan and Europe in fixing that so we need to do this,” Dimon said on “Mornings with Maria”. Some of the biggest names in business and healthcare will gather at the 37th Annual J.P. Morgan Healthcare Conference in San Francisco where more than 450 private and public companies from biotech, pharma, insurance, and more will be in attendance.